Low-dose aspirin should not routinely be used to prevent heart attacks and strokes, contrary to official guidance, say UK researchers. Analysis of data from over 100,000 clinical trial participants found the risk of harm largely cancelled out the benefits of taking the drug. Only those who have already had a heart attack or stroke should be advised to take a daily aspirin, they found. The Lancet study should help clarify a "confusing" issue, GPs said. The NHS drugs watchdog, the National Institute for health and Clinical Excellence (NICE), has not made a ruling in this area. But experts in the UK, US and Europe recommend aspirin for people who have not already had a heart attack or stroke, but are at high risk of cardiovascular disease because of factors such as age, blood pressure and cholesterol level. This strategy, known as primary prevention, is based on the result of studies looking at predicted risks and benefits in this population. But the latest research provides clearer evidence because it is based on data from individuals, the researchers said. They looked at heart attacks and strokes and major bleeds - a potential side effect of aspirin - in six primary prevention trials, involving 95,000 people at low to average risk and 16 trials involving 17,000 people at high risk - because they had already had a heart attack or stroke. Use of aspirin in the lower-risk group was found to reduce non-fatal heart attacks by around a fifth, with no difference in the risk of stroke or deaths from vascular causes. But it also increased the risk of internal bleeding by around a third. However, in those patients who had already had a heart attack or stroke and were at risk of having another, the benefits clearly outweighed the chance of adverse events, the researchers said. Study leader Professor Colin Baigent from the Clinical Trial Service Unit at the University of Oxford, UK, said drug safety was vital when making recommendations that affected tens of millions of healthy people. "We don't have good evidence that, for healthy people, the benefits of long-term aspirin exceed the risks by an appropriate margin." He added: "I think the guideline groups will find it useful to have the data analysed in that way." Professor Steve Field, chair of the Royal College of GPs, said the issue had been confusing for GPs and patients. "There is no definitive guidance and it makes it bewildering when you have a series of papers which then hint it would be beneficial to take aspirin." He added that many patients would buy aspirin over the counter - either on the advice of their GP or under their own steam - because it was cheap. "This important study does suggest people shouldn't take aspirin unless indicated by disease." 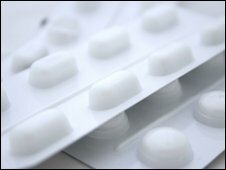 Ellen Mason, senior cardiac nurse at the British Heart Foundation said: "It is better for doctors to weigh up the benefit and risk of prescribing aspirin on an individual basis, rather than develop a blanket guideline suggesting everyone at risk of heart disease is routinely given aspirin."